This is an opportunity to treat yourself at one of BC’s most well known, deluxe properties, the Wickaninnish Inn: Rustic Elegance on Nature’s Edge. 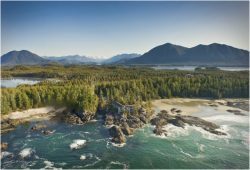 Surrounded on three sides by the wild blue waters of the Pacific with an old growth forest as a backdrop, explore spectacular Chesterman Beach and the beauty of Vancouver Island’s wild west coast. The Wickaninnish Inn was built to embrace Winter Storm Season. Pounding surf, howling winds, scudding clouds heavy with rain thundering across the sky like a team of horses. Whether you bundle up outside or watch it all from the comfort of your fireplace-warmed suite, winter storm watching is an awe inspiring experience that invigorates the soul. Ocean and beach views are standard from every guest room. Indulge in acclaimed West Coast Canadian Cuisine in the beautiful dining room with its award winning wine list. 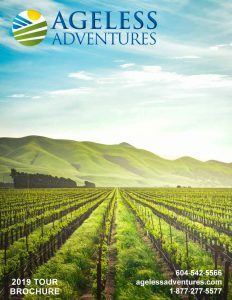 Don’t miss out on this luxurious West Coast experience!